We Love Andy Webb Fundrasier at GOODGOD. July 25 feat. Kali, Ben Fester, Zeus & More. | SOUL OF SYDNEY FEEL-GOOD FUNK SOUL DISCO vibes & beyond. We Love Andy Webb Fundrasier at GOODGOD. July 25 feat. Kali, Ben Fester, Zeus & More. 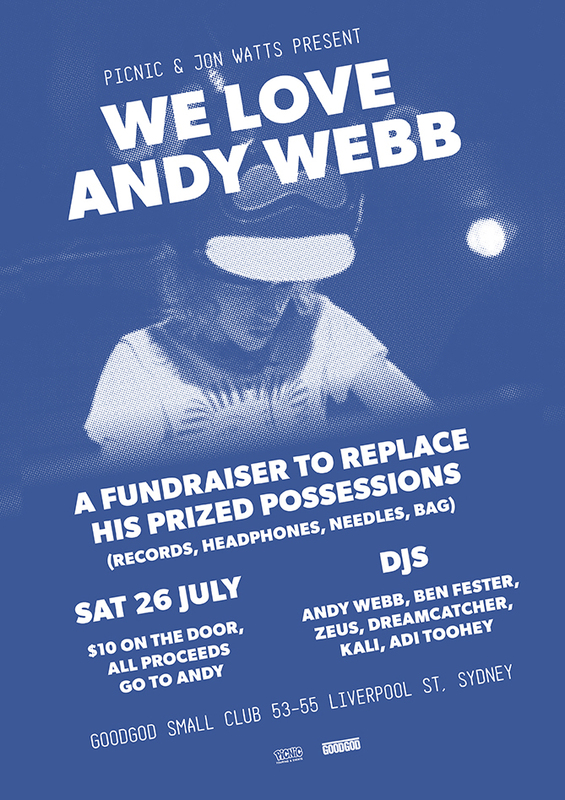 The good people over at Picnic & Jon Watts have organized this fundraiser for local selector Andy Webb, who had his record bags stolen last week in Newtown. Microsoft. Google. Sony. Coca-Cola. Death Strobe Records. Disco Delicious. You may have heard of these brands. Andy runs two of them. You may also know him by some of the following titles – Mister Chicken Wing at Picnic, Miss Australia at Resident Advisor, One Of The Best DJs in Sydney aka Harvey Jnr, A Really Really Really Nice Guy, Serious Music Lover and Vinyl Collector, Crazy Pant Connoisseur and also Sir Hug-A-Lot! Unbelievably, our man of many loveable talents had his car broken into a few weeks ago AND the miserable thieves stole his music and DJ gear…HUGE SAD FACE!! So here we are with a fundraiser to get Andy some cash to replace his stolen records, fully loaded Shure cartridges (three of them and spare needles – yes, he is t h a t profesh! 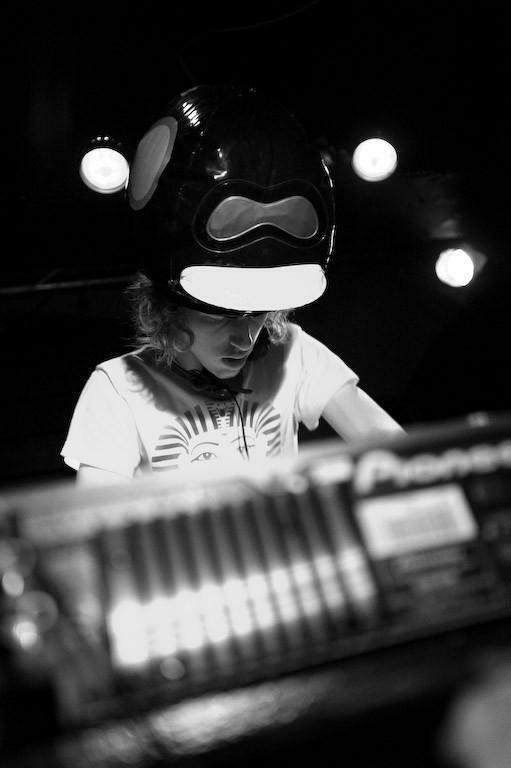 ), headphones and other expensive DJ related stuff! Some of his biggest fans have agreed to play and one of Sydney’s bestest venues have given us a home for the night! So please come vibe out and drop us a donation! Let’s make Andy feel like he’s king of the world!! !